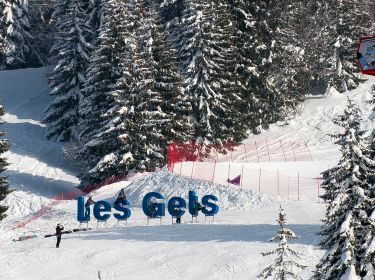 Between Lake Geneva and Mont-Blanc, Les Gets has retained its spirit as a mountain village with its typical architecture of stone and wood chalets and its rich cultural heritage. The outstanding quality and diversity of its skiing facilities are a delight for all, both young and old. Right from the centre of the village, the slopes, pine trees and upland landscapes are within easy reach. Discover the delights of skiing and the breathtaking landscapes across the whole of the Portes du Soleil.